Traditional Chinese medicine incorporates the following modalities: acupuncture, herbal medicine, moxibustion, cupping, tui na (medical massage), gua sha, exercise therapy, nutrition and diet / food therapy. The roots of Chinese medicine are over 2,000 years old but practitioners and their tools have evolved with each new generation. Even though Chinese medicine is a respected stand-alone medical system in its own right, licensed and trained doctors of Traditional Chinese medicine (a.k.a. TCM) in America and in China are also trained with an understanding of western medicine in order to provide the patient with the best care, best options and most appropriate treatments based on patient choice and need. "The responsibility and focus of a good physician should be to promote healthful living with preventative medicine while secondarily, treating disease when it occurs. A good immune system, spiritual practice and mental clarity is foundational to wellness. Arming the patient with knowledge and practical tools to obtain balance between mind, body and spirit is our promise to our patients at Waleli Wellness. " The patients or clients at Waleli Wellness are not spectators but active participants in their health and treatment(s). Unlike visits to a western medicine practitioner's office or most PCP's (primary care physicians), the TCM practitioner will spend up to 2 hrs. with you at your first appointment. At this appointment the patient and doctor agree to a partnership before the appointment even begins. Congratulations! If you made an appointment, filled out your paperwork and showed up for your appointment, you have taken a very important step towards investing in your heath. This also means that your practitioner will now make an investment in YOU -- at least 50% to meet you half way to help you achieve your health and wellness goals. The evaluation process is an extensive one at your first visit in order to get the best, full picture of you, your needs and to define your goals. You will be led to a comfortable private treatment room. While asking you questions about your eating habits, sleeping habits, bowel movements, temperature preferences, mental, physical and spiritual health, your practitioner will also look at your tongue, take your pulse, look at your nails, your posture, your countenance, complexion, muscle tone, etc., while making other observations. Your practitioner might also take baseline vitals at this appointment (i.e. temperature, pulse rate, rate of respiration and blood pressure). You will be asked about any allergies, medications and/or supplements you are taking. All of this is to get the best possible picture of who you are and how best you can be treated. You will then be asked details about your chief complaint to help the practitioner make a treatment plan for that day and future treatments. It is at this time, that the practitioner may have you lay down on either your stomach or on your back on the treatment table. You should wear comfortable pants or shorts that allow the practitioner access to your knees and thighs, if needed. You should wear a loose fitting shirt that also exposes your arms. You might be asked to remove your top (ladies can keep on undergarments) in order to get to certain acupuncture points, but you can be covered back up after the needles are placed by a light blanket used during treatments, if desired. You will be given the choice to hear soft music, experience aroma therapy during your treatment or have warm towels placed on your feet for comfort and luxury during the treatment. Waleli Wellness excels in treating the WHOLE person during a treatment, not just your symptoms. Reducing stress and helping the patient to be as relaxed as possible enhances any treatment we do in the office and will have lasting, positive effects when you leave. Most patients have some sort of positive experience and relief in symptoms right away either during the treatment or shortly after. However, depending on your condition and whether your condition is acute or chronic, your treatment plan might include many visits before results are seen. Each patient is different. Follow-up visits are similar to the first visit. Your follow-up appointments should not be any longer than 60 minutes, however. Most of your history has been taken now, so the follow-up appointment will be more brief. The practitioner will go over the last treatment and your progress, as well as review any homework items you may have had since your last appointment. You will then be asked a few questions to summarize your current status before treatment begins. If there have been any changes to your health, medications being taken or added supplements or an added exercise regime since your last visit, please be sure to tell your practitioner. 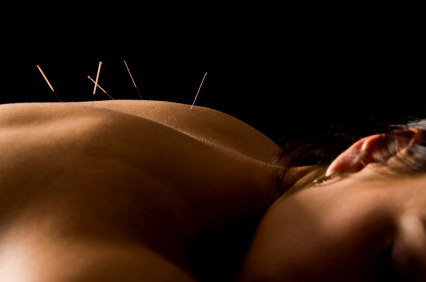 How are we different from other doctors of acupuncture and Chinese medicine? At Waleli Wellness, Dr. Ro only treats ONE PATIENT AT A TIME. This means that all of her time is devoted to YOU, the patient. She will not be going in-between rooms from patient to patient while you wait on the table. Your scheduled hour (2 hours for your first appointment) is yours ALONE. Therefore, it is very important that you arrive on-time. If you cannot make your appointment, 24 hours notice is required to reschedule or cancel. If you do not show up for an appointment and notice is not given, you will be charged a $50.00 cancelation fee. Your time is very valuable to us as so is the time of other patients wishing to have your spot, if you are unable to make your appointment. We also offer package plans for return patients, as well as a membership plan that can save you as much as 40% off the regular price! Click here for more info. on our plans. At Waleli Wellness, we incorporate different modalities in Chinese medicine depending on the patient's need. In China, herbal medicine and acupuncture and moxibustion are usually practiced by separate practitioners. They specialize in either herbs or acupuncture and moxibustion. In America, however, training incorporates both modalities under the title of Traditional Chinese Medicine. At Waleli Wellness, herbal remedies are delivered in pill form, powder form, poultices or liniments. On occasion, raw herbs are given to the patient in a formula curtailed to the patient. It is rare for a TCM physician to prescribe only one herb, as formulations help buffer any side effects and help make the formula very specific to each patient's need(s). At Waleli Wellness, we believe that the mind, body and spirit come together to to make the perfect yin/yang relationship (as would be described by Chinese medicine) or homeostasis (as defined by Western medicine). There is much wisdom in the saying, "you are what you eat." Hippocrates, the Greek physician born in 460 BC, believed in treating disease with food. He once said, "let your food be your medicine and your medicine be your food." Our relationship with food can be complicated and sometimes hinder good health if the proper balance of exercise, sleep and nutritional food choices are not made. At Waleli Wellness, we evaluate food choices, exercise regimes (or lack thereof) and nutrition to help you achieve your health goals and be the best you can be!